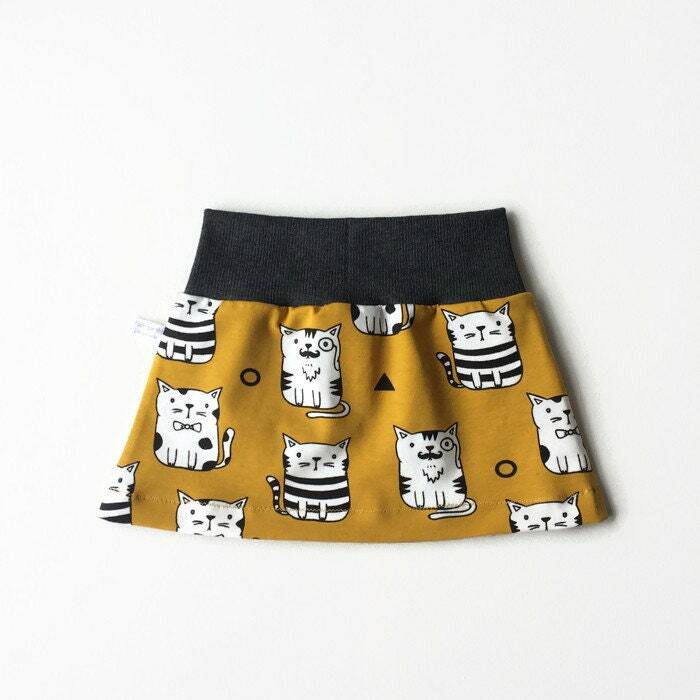 Lovely girl's skirt, made of comfortable organic yellow cotton knit fabric with cats. 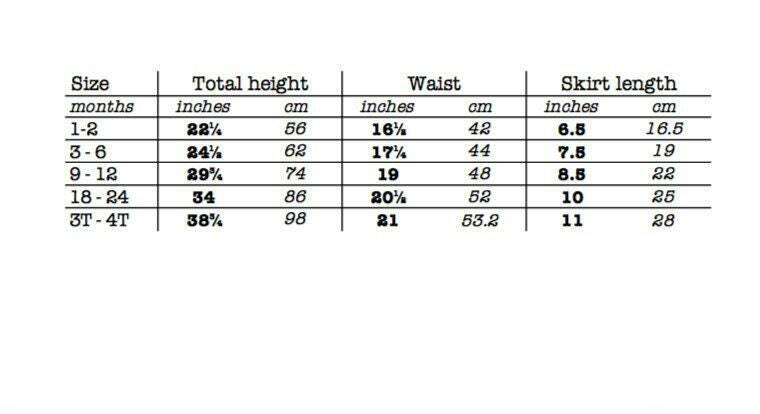 The skirt has a comfortable grey waist band. The skirt can also be made with either a black waist band or a black and white striped waist band.